Ten years ago, in a small, tidy shelter in one of the poorest areas of Mississippi, that was one of the first questions I heard. I was in Mississippi working on a project to assess the severity of the overpopulation issue, helping develop effective spay/neuter messaging and provide hands-up help in training, networking and some funds working on a project launched in the wake of Hurricane Katrina. The shelter manager and the board president were both curious about the puppy question. I told them my take as a former shelter director from up North—that we do still have puppies, but that we’ve made great strides and have the capacity to help with dogs. I described what we felt had driven the progress in the Northeast—accessible spay/neuter efforts, effective animal control laws, a built-up humane infrastructure and more—and I found myself looking at two women with tears in their eyes. They couldn’t imagine a world without run after run of beautiful puppies, more than could ever be saved. The Mississippi shelter had gotten offers of help from a group up North, but “we thought it was laboratories trying to get our animals,” the board president confessed. Quantitative studies told the story: the deep South had more households with dogs, more dogs per household and far lower spay/neuter rates than the country overall and the Northeast in particular. Their laws weren’t as progressive, they didn’t have a statewide animal control association, there was a dearth of infrastructure in the region (one shelter might be the only shelter for hours in any direction), and regional climate and poverty were working against them. But hope filled their eyes when they heard that success was possible and space-based euthanasia was vanishing in regions where it was once the norm. I was privileged to share that message with more than four dozen shelters I visited in the deep South. Fast forward 6 years. I’d become President /CEO at St. Hubert’s Animal Welfare Center in New Jersey and we were a couple years into our “Sister Shelter” transport program that provides a hands-up to source shelters—specifically, for each dog we took in from our partner groups, we donated $50 back from the adoption fee to fund low-cost spay/neuter for their public. We provided educational opportunities, enrichment kits, onsite visits to share our behavior modification techniques and more. Attending an HSUS Companion Animal Advisory Council meeting in early 2015. I was the only Mid-Atlantic representative and was invited to sit with another regional group. I sat down with the New England reps and asked them about a crazy rumor I’d heard—that they’d reached the point where they were transporting in cats. It was my version of “Y’all don’t have kittens in the North?” It was true. They explained that they had seen the tipping point coming, but even they were surprised how quickly it did. Thus began St. Hubert’s Feline Pipeline program. We increased the number of cats we picked up from all over New Jersey, prepped them and got them up to our New England friends. We’d become both a receiving state for dogs and a sending state for cats, giving us great insight and opportunity to see what was going on up and down the East Coast. We should be celebrating this momentum of change and how far we’ve come. In the 1970s, the United States euthanized an estimated 100 dogs and cats per thousand humans—one dog or cat for every ten people. Today, based on most recent estimates from the ASPCA that figure is 5 dogs and cats per human thousand. From 100 to five. Even if you double the ASPCA’s estimate—and no group thinks it’s still that high—it’d still be one tenth of the euthanasia we were once performing. The simple fact is the national groups can’t be everywhere. It’s up to us to help each other. One of the biggest obstacles to our own success is how unconnected we are with one another. Starting with self-assessment, here’s what we’re doing at St. Hubert’s. In 2016, five years into our Sister Shelter program, we created an official Sister Shelter WayStation thanks to PetSmart Charities. As a former economist, it pained me to see shelters driving up and down the east coast for small numbers of dogs, knowing that with coordination on both ends, a single transport could move as many dogs much more efficiently. Airlines and big corporations all use similar hub models. So, we created one. We believe we’ve built something replicable that, if adopted in targeted areas, could cast a net over the nation as a whole. In our first 11 months, our network grew to 31 source shelters, 27 destination shelters (us included) and transported more than 3,700 canines, provided $90,000 back to source communities for low-cost or free public spay/neuter, provided scholarships to five source shelters to Animal Care Expo 2017 and provided onsite training and enrichment supplies in four states. We’ve sponsored volunteer software for one agency, donated banks of caging in Kentucky to enable indoor housing for puppies and sent food, litter and supplies to many organizations. The program helps older dogs, animals with special needs and larger dogs as standard operating procedure, not just puppies. Nothing illustrates the bigger picture impact than the organizations on both sides. 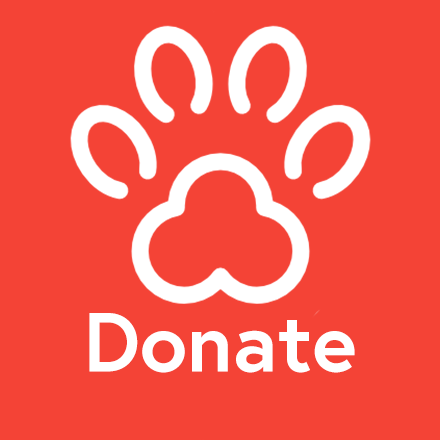 Dr. Kim Sanders of Anderson PAWS in Anderson, South Carolina, used give-back funds to create a “Spay or Pay” program for stray reclaims—they waive all fees of reclaim if the owners allow their pets to be altered, at no charge. They also provide free spay as a surrender prevention tool. At Humphreys County Humane Society in Waverly, Tennesse, their special program alters pit bull types, using a lottery system. Humphreys County Humane Society president Ann Hunter wrote, “This program has allowed us to reach people that would not normally come to us for help … Thanks is just not enough for how you have helped us help the animals.” They included photos of some of the dogs and their people who utilized the spay/neuter program. Some of the source shelters now act as secondary hubs, reaching out within their areas. That is absolutely a goal of the program. We treasure our source shelters. They help us as much as we help them. They trust us with their “babies” and with their staff, volunteers and community. They enable us to make an even bigger impact in mission, now and into the future. Together we can expand our dialogues to include discussion about enacting needed laws, speaking up for wildlife, farm animals and against things like the circus coming to town. We can brainstorm about things like building public support for those 20-24 million much-loved pets that live in poverty and whether spay/neuter should be more targeted in order to put resources to optimal use. We can navigate issues of sustainability like the potential for effective mergers in our field, whether big new buildings are needed and how expanded community outreach efforts can be funded. There’s much we still need to work on together and the more mobilized we are, the better we’ll do it. We need to look to our roots of animal protection and prevention of cruelty, beyond companion animal adoption and response. Transport alone is not how we’ll cross the finish line. It is a powerful catalyst for getting there faster if hands-up is considered obligate. Is there a better opportunity to deepen the ties with one another to respond to evolving opportunities and challenges in our cause than these types of networks? I can’t think of one. As the rescue coordinator for a source shelter, I can not express how big an impact the WayStation transport program has had on our small, rural shelter. The funding, from our transport animals, is helping us realize our goal of 600 low cost spay/neuters. Our transports are always full. Our community is enthusiastic to take advantage of a cost effective way to alter their pets, if it is available to them.